A meteor dancing across Texas skies was accompanied by a boom so loud that it shook houses, prompting residents fearing that an explosion had taken place to call the authorities to report that their doors and windows had been rattled. Footage of the event was captured by a police officer’s dash camera near the town of Weatherford just before 9pm on Sunday night. The volunteer fire department in Snyder, Texas, received so many concerned calls that they took to Facebook to let residents know they were aware of the situation. However, the noise was simply a “sonic boom,” which is observed in about one percent of falling meteors. Some residents were more aware, opting to call the American Meteor Society (AMS) instead of their local police station. Driving btwn Amarillo & Lubbock and saw a meteor so big, bright & close that I slammed my brakes thinking it was going to hit the road. The meteor was apparently seen in other states as well, with AMS reporting a total of 31 calls from Texas, Colorado, Oklahoma, and Kansas. AMS operation Mike Hankey said remnants of the meteor appeared to be scattered about 50 to 100 miles southeast of Lubbock, and advised locals to “be on the lookout for any weird black rocks,” the Lubbock Avalanche-Journal reported. This isn’t the first time Lubbock has seen a unique spectacle in its skies. 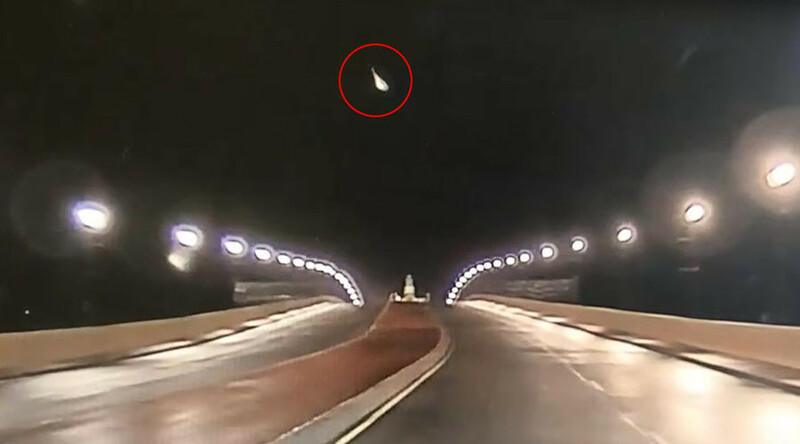 A fireball was reported in the area last year, while local residents eventually recovered more than 100 meteorites produced by a fireball in 2009.